Congrats to FVP Featured Author Sheri J Kennedy for being chosen for this exciting program with King County Library System! I’m so excited about King Co. Library System choosing my book LIKENESS as their first Valley Reads feature for community book club reading!! Our newspaper, The Valley Record did a Feature Article on the program. I’m #almostfamous ! 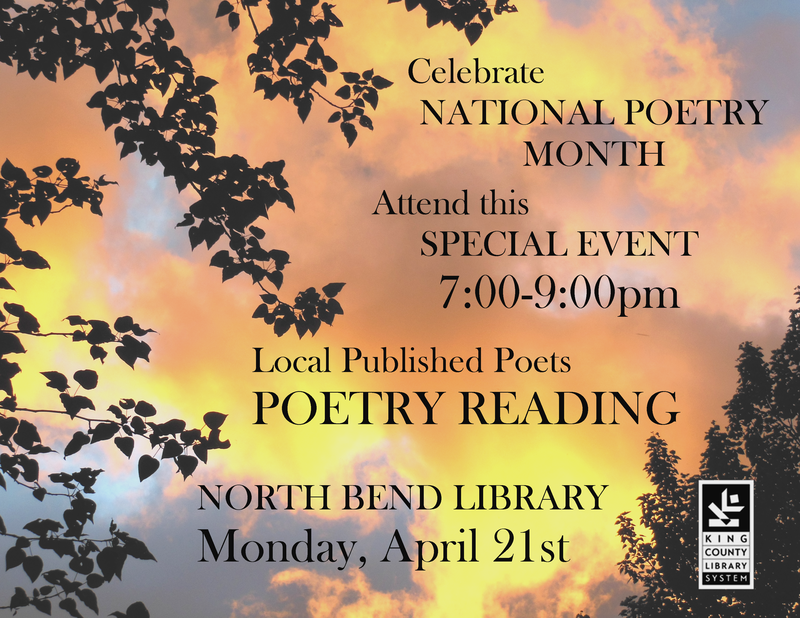 Anyone who REGISTERS for the program can pick up their FREE book at North Bend Library after April 7th, and then I’ll be leading a Discussion Event at North Bend Library on May 2nd. The book is great for discussion since it’s concept driven and is a playful romp full of thought-provoking ideas regarding similarity and difference. If you’re in the area, be sure to REGISTER, before March 25th, and if you’re curious, check out the book preview on Amazon. Get your copy of LIKENESS today! 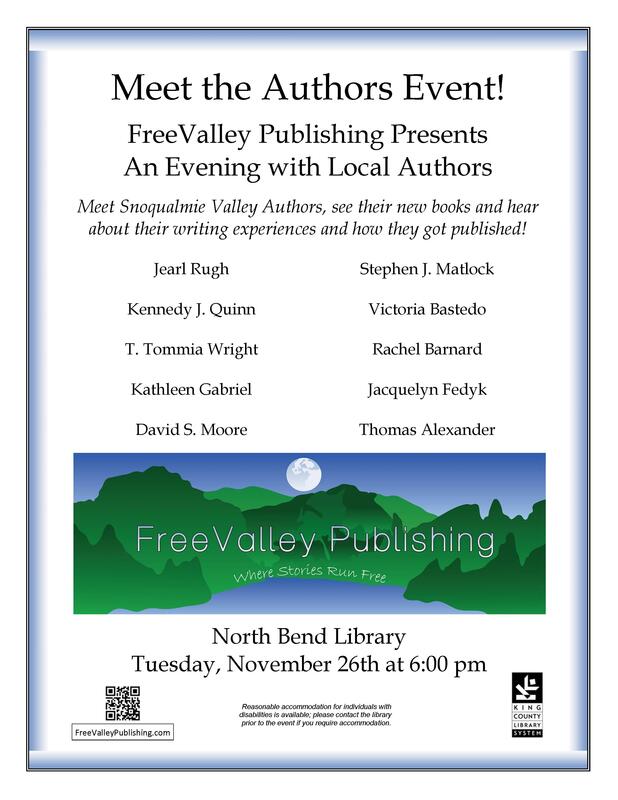 FreeValley Publishing authors will be hosted by SnoValley Writes! at an official King County Library System event as part of their NaNoWriMo programs on November 26th from 6:00-8:00 p.m. at the North Bend Library Meeting Room. This will be a unique opportunity to hear each author speak about their writing and publishing journeys and to ask your questions and get first-hand answers in dialogue with Snoqualmie Valley local authors. Most of our authors created their published manuscripts during NaNoWriMo, so if you’re a Wrimo, come and be inspired! The event is free and open to everyone. It promises to be a lively evening, and we look forward to talking with you!